. : JZVacations.com - USA Vacation :. 4 days and 3 nights in California with breakfast for 4 people where you can enjoy the snow, mountains, lakes, and pure nature in one of the best hotels in the area, also you can enjoy 4 days and 3 nights in the capital of gambling "LAS VEGAS" plus 4 days and 3 nights in Orlando Florida with 2 tickets to Walt Disney World + daily breakfast + transfer to the parks. For questions or to check availability, call us: 786-373-9980. 5 days to a couple and a child up to 6 years (all inclusive) meals, drinks, shows and lots of fun! Las Vegas is the most populous city in the U.S. state of Nevada and the county seat of Clark County. 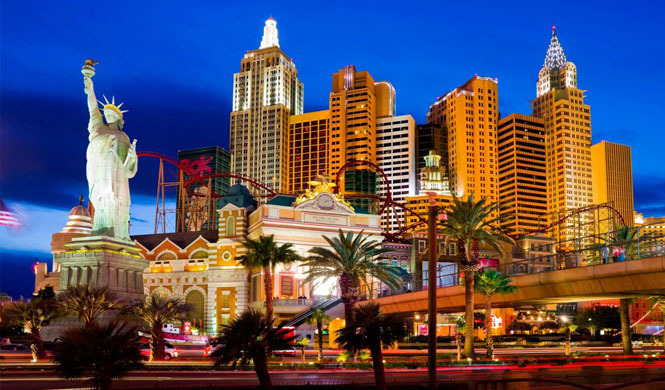 Las Vegas is an internationally renowned major resort city known primarily for gambling, shopping, fine dining, and nightlife and is the leading financial and cultural center for Southern Nevada. The city bills itself as The Entertainment Capital of the World, and is famous for its consolidated casino–hotels and associated entertainment. A growing retirement and family city, Las Vegas is the 31st-most populous city in the United States, with a population at the 2010 census of 583,756. The 2010 population of the Las Vegas metropolitan area was 1,951,269. The city is one of the top three leading destinations in the United States for conventions, business, and meetings. Today, Las Vegas is one of the top tourist destinations in the world. 4 days and 3 nights in Las Vegas, standard room, free high-speed Internet, free newspaper, free coffee 24 hours, Full bathroom, A/C, pool. 4 days and 3 nights in California (Lake Tahoe) standard room, 2 full size beds or 1 King Size, Air Conditioning, Plasma TV Satellite, Telephone, Coffee, Daily breakfast. 4 days and 3 nights in Orlando Florida, standard room, free high-speed Internet, free newspaper, free coffee 24 hours, Full bathroom, A/C, pool. 2 one day tickets to theme parks to Walt Disney World. Las Vegas is a city that has something for everyone. While you are here, make sure to see all the great attractions the city of Las Vegas has to offer. 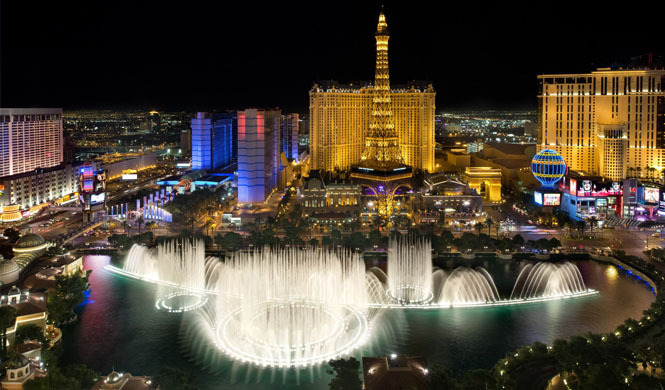 Recognized all over the world, our famous Las Vegas Strip is where tourists can enjoy a walk in the warm desert evening, or take a stroll downtown and view a dazzling light show that spans an entire street, the Fremont Street Experience. 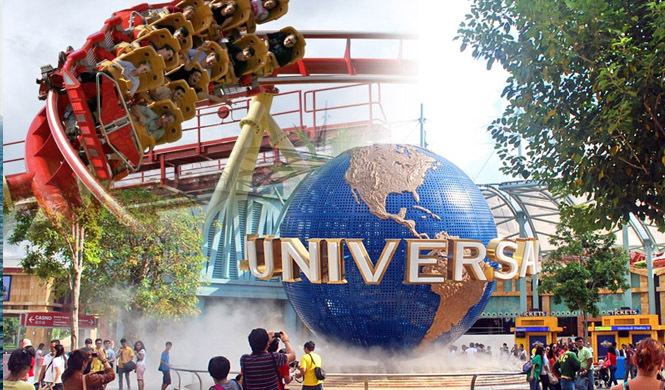 Visitors can also get a glimpse of amazing world famous re-creations like erupting volcanoes, the Eiffel Tower and the Sphinx of Egypt in front of the various hotels and casinos. Las Vegas continuously reinvents itself, so even if you have been to our great city before you will never run out of fun things to do. Have a great time in our wonderful city! and access to a hair dryer and iron make you feel right at home. rooms include a king bed or two queen beds with luxury bedding. theme park, Circus Circus guarantees good fun for the entire family. your desk and rest your laptop on its beautiful marble surface. the Strip, the surrounding mountains, the Riviera pool, or the city. Either way, you're sure to have a great view. Hotels participating: Excalibur Hotel and Casino, Stratosphere Casino, Hotel & Tower, Circus Circus Las Vegas, Riviera Hotel & Casino, LVH - Las Vegas Hotel & Casino, The Quad Resort & Casino, Hooters Casino Hotel Las Vegas, Treasure Island Las Vegas, New York - New York® Hotel & Casino, South Point Hotel - Casino Las Vegas, Bally's Las Vegas. A view of the Las Vegas Valley looking south from the Stratosphere Tower at dusk. Lake Tahoe is often referred to as the perfect year round vacation and wedding destination with terrific weather and breathtaking scenery! 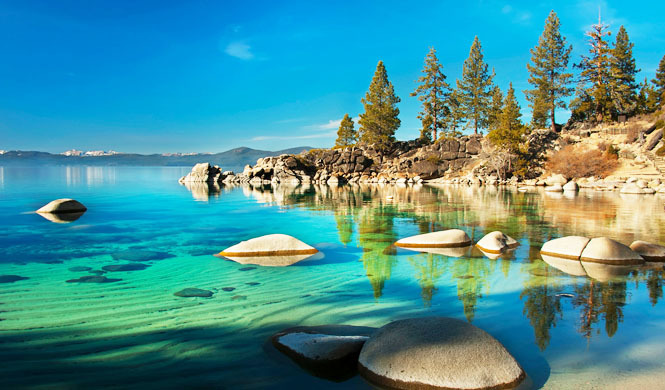 Split down the middle by the California and Nevada border, Lake Tahoe boasts of over 300 days of warm sunshine, 396 inches of annual snowfall, 18 world-class ski and snowboarding resorts, incredible golf courses, fantastic hotels, casinos and of course, beautiful blue Lake Tahoe itself! The skiing and snowboarding in Lake Tahoe is arguably the "Best in the West"!! Beautiful sunshine, deep powder, long groomed runs all make Lake Tahoe and its many world class ski resorts a very special place to ski! There are ski and snowboard steals and deals year round so act fast.... and see you on the slopes! Many of the best ski resorts in Lake Tahoe report over 100 inches of snow each year and typically open in November and close in the late spring. Where to eat in Tahoe? No problem! There are plenty of fantastic restaurants to choose from. California and Nevada's retreat for summer fun. Our ideal summer climate is bound to satisfy anyone. Protected from excessive high temperatures and humidity levels. The region is full of summer activity. The Lake fills with skiers during the morning and sail boat races during the afternoon. Where to stay? Vacation Rental cabins, homes and condos are always popular so be sure to book early. Located across the street from Heavenly Ski Resort, this suite-style resort in South Lake Tahoe features guest rooms with free Wi-Fi and a year-round, heated outdoor pool and hot tub. A flat-screen cable TV with premium channels is provided in each room at Tahoe Seasons Resort. A microwave, a small fridge and coffee-making facilities are also included. The Heavenly View Cafe is open daily for breakfast. The Pub has a full bar and is open in the evenings Friday through Monday. Box lunches are available. A gift shop and seasonal ski shop are on site. A rooftop terrace has BBQ facilities, tennis and shuffle board courts. a 24-hour front desk, bell and valet service are available. Multiple casinos are within 2 miles of Tahoe Seasons Resort. Emerald Bay is a 30-minute drive away. Children and extra beds: Free! All children or adults stay free of charge when using existing beds. California Sunshine: The sun shines at Lake Tahoe during 75% of the year, or 274 days. Lake Tahoe Snowfall Levels: At lake level, annual snowfall in South Lake Tahoe averages 125 inches. At alpine skiing elevations, the snowfall averages 300 to 500 inches each year. Gaming: There are six 24-hour casinos in the South Lake Tahoe area. Together, they have a total of 7,051 slot machines and 411 game tables. 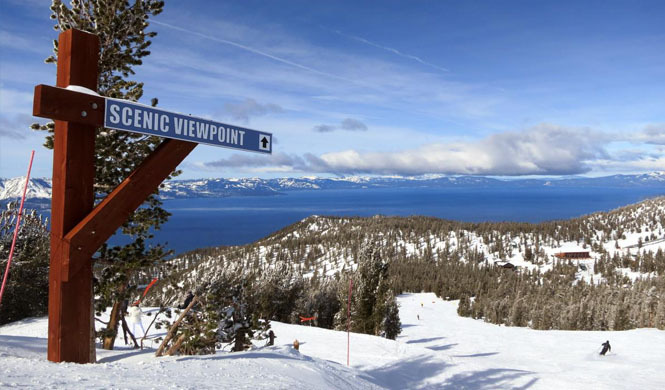 Skiing and Riding: At Heavenly, skiers/riders can enjoy California skiing and riding on one of the 97 trails in the midst of more than 4,800 total acres..
Lake Tahoe is the North American Continent's largest Alpine lake and is 22 miles long, 12 miles wide, and covers a surface area of 191.6 square miles, and has 72 miles of shoreline. Use your vacation to immerse yourself in a wonderland where you'll find a dazzling array of entertainment, attractions and recreation. Please note that we have a full team of experts in Orlando's vacation available to help in any way possible. Club Crown Inn Summer Bay Resort: is your next home away from home! It is a favorite destination for the family in Central Florida. Crown Club Inn is a non-smoking hotel features two queen beds or king suites in corridors interiors. The king suites have a queen sofa bed, mini fridge, microwave and bar sink. services include WIFI center, business accessible, gym, coffee 24/7. 400 acre property Bay Resort, Crown Club Inn all the Guests have full access to the Summer Bay Resort variety of activities and amenities that means fun without order for everyone! Just to name a few ... check out the 64-hectare lake with a sandy beach, water sports and fishing pier, 18-hole miniature golf, beach volleyball, tennis, basketball, shuffleboard and horseshoes, activities planned for children, adolescents and adults, Kokomos Lakeside Tiki Bar poolside and Big Kahuna Tiki Bar and Grill, not to mention our 5 pools, a water park for children and 4 spas on the site. 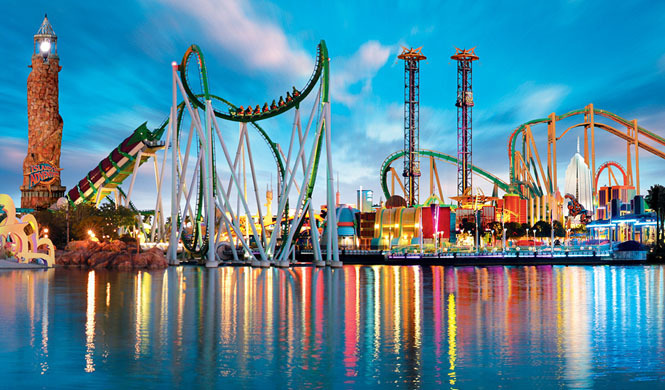 Central Florida is home to attractions such as Walt Disney World, Universal Studios, Sea World, Wet 'n Wild, Gatorland, wine cellar Lakeridge, Arabian Nights, Medieval Times, Pirates Adventure. Let us be your vacation destination and the best secret Central Florida saved! 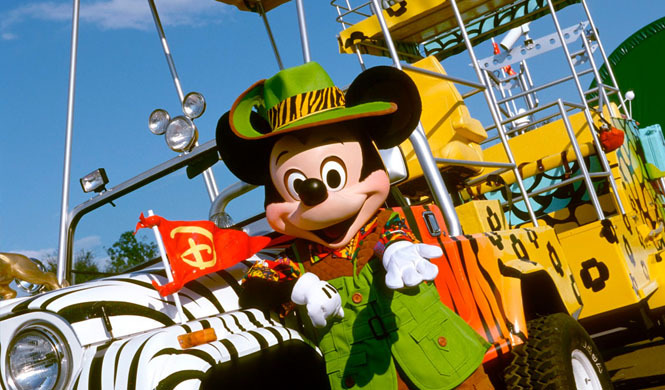 The Holiday Inn Resort in Lake Buena Vista: offers luxury spacious and child friendly place, recreation for the family, to ensure fun-filled vacation in everyday life. Facilities include a cinema, swimming pools, playground, half basketball court, Applebee's, games room, gift shop, kiosk press, business center, meeting rooms, multilingual staff, gift shop market. Free shuttle to Orange County Convention Center, Marriott World Convention Center and Gaylord Palms Resort & Convention Center, the transportation schedule ensures you stay on time. The Comfort Inn Orlando is going to love it from the rooms, the service and everything else, are designed to make life easier and your vacation an absolute joy. The 197 rooms have double bed, on smoking rooms, standard rooms and non-smoking double bed in family room with a bunk bed. All rooms are spacious, comfortable, clean and waiting for you to enjoy them. Choose from the list below to find the room that's right for you. Whether you're in town for a holiday family, busness meeting or an event for your group, Orlando is a destination for everyone no matter the occasion. Ramada Inn Orlando: Ramada Worldwide offers a warm and friendly stay at nearly 900 hotels in over 50 countries around the world. We provide our guests with free, high-speed wireless Internet access, cozy beds for a relaxed and restful stay, guest bathrooms stocked with San Francisco Soap Company amenities, and a variety of hotel choices to match every trip; from a family vacation or "quick stop and recharge," to a full-scale conference or lavish wedding. Orlando is a city in the central region of the U.S. state of Florida. The Greater Orlando metropolitan area has a population of 2,134,411, making it the 26th largest metro area in the United States, the sixth largest metro area in the Southeastern United States, and the third largest metro area in Florida. 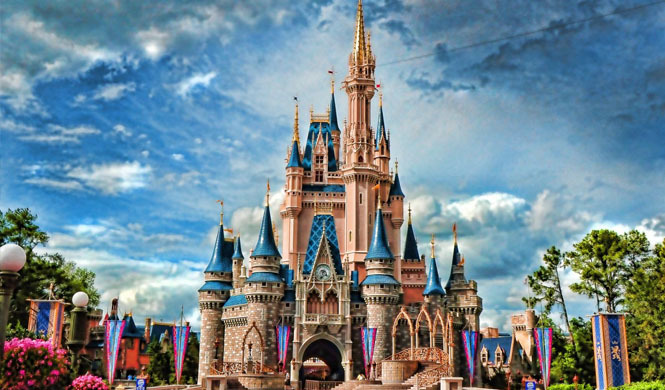 Experience the Orlando vacation paradise with your family and enjoy the magical World of Disney World and its theme parks! No more magical place in the world to Orlando, where people around the every year world enjoy its exciting theme parks, local attractions, shopping centers and countless restaurants to celebrate your holidays in style, being the quintessential holiday destination for families. Does not include booking fees of U$149. This amount is applied at the time of your booking request to your destination. Packages that include gift destinations not allow the use of both destinations consecutively, at least within 6 months between destinations will be required.